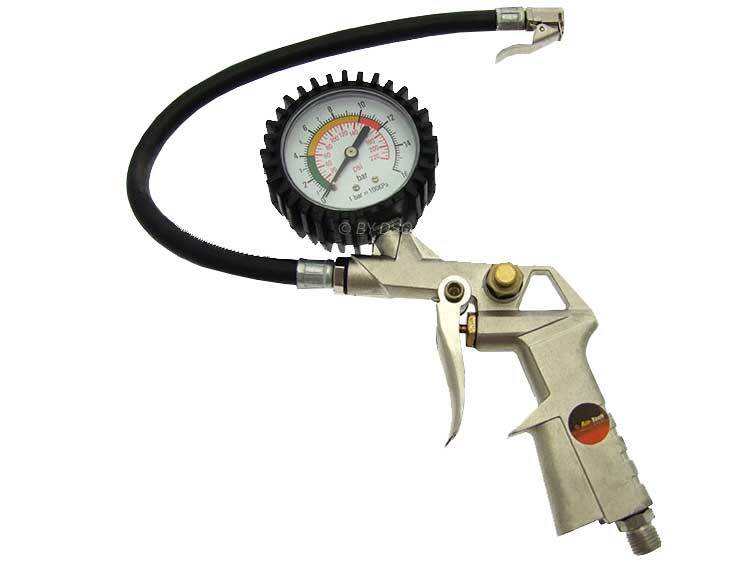 Quality air tyre inflator with gauge, Ideal for automotive, bicycle, motorbikes, cars, farm equipment tyres & most inflatables. A quality rubber protected 2" gauge shows 10 to 140PSI at 2 PSI intervals. Fitted with an air release button on the side make it east to adjust the pressure to that required when a tyre is over inflated. Takes the guess work out of getting the correct pressure.